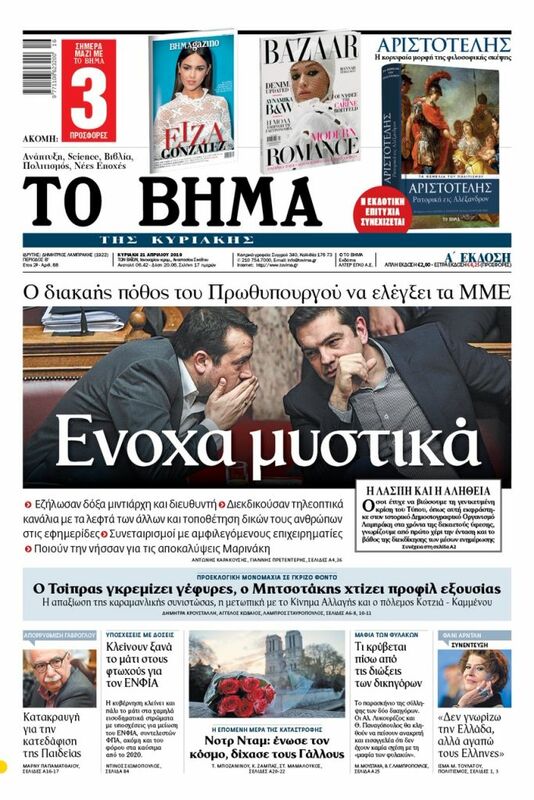 The centre-left party says that the entire Novartis affair is a conspiracy staged jointly by SYRIZA and the Karamanlis faction of New Democracy. With one of its most prominent MPs, Andreas Loverdos, about to testify as a suspect in the Novartis case if his parliamentary immunity is lifted, the centre-left Movement for Change is charging that the entire affair is a conspiracy staged jointly by SYRIZA and the Karamanlis faction of New Democracy. Opposition parties have repeatedly charged SYRIZA with making an agreement with the Karamanlis wing of the conservative party to split New Democracy and provide cover for improprieties during the former PM’s administration. They say that the whole Karamanlis period (2004-2009) has remained untouched by the government and Parliament. In a document released by the Movement for Change today at its weekly press briefing, the centre-left party enumerates five facts that it claims establish that the focus on opposition politicians in the Novartis investigation was a conspiracy. On 4 April a witness shows up hastily and adds no further evidence in the case but instead speaks offers only hearsay. On the following day, 5 April (when the widely read Sunday newspapers go to press), the pro-government newspaper Documento in an ad about the Sunday edition refers to new important testimony in the Novartis case. The article was entitled “New witness speaks about Loverdos” and it reported that the case file regarding Loverdos will be sent to Parliament. [The judiciary has requested that his parliamentary immunity be lifted so that he may be examined as a suspect in connection to bribe-taking]. The very next day, 8 April, assistant corruption prosecutors file a request with chief Corruption Prosecutor Eleni Touloupaki that the file be sent to Parliament, which must vote on whether Loverdos’ immunity will be lifted. Loverdos himself has said he will vote for the lifting of his immunity. The same day, 8 April, the Corruption Prosecutor reviews the file and copies the report verbatim and sends it to the Supreme Court Prosecutor’s office, which in turn will send it to Parliament. By sheer «coincidence» the Supreme Court Prosecutor’s Office with record speed sends the case file to Parliament the very same day.